Many members have responded by the September deadline, but we do not yet know the eventual outcome of this application. It has, however, sparked many questions among our members concerning the use of the word “Grange.” Several years ago the National Grange secured a trademark for the single word “Grange” and has since brought several actions to stop people from using “Grange” in their trade or business name without specific permission from the National Grange. The purpose for this trademark was so that everyone, both members and non-members, would not be confused into thinking businesses with the word “Grange” in their name were connected with our fraternity. Now Tyson Foods is claiming the term “Grange and Grassland” is different from using the single word “Grange.” Courts have ruled that once a person or a business obtains a copyright or a patent on a name, they must defend that name against use by others or they will lose their exclusive rights to the name. One of the most famous cases in the United States concerned the term “scotch tape.” Minnesota Mining and Manufacturing Company was originally granted a copyright of this term for their brand of cellophane tape, but because they did not take action to stop other companies from using the term, the courts held that they had lost their rights and “scotch tape” became a common name that could be used by anyone. Ever since Xerox Corporation first marketed copiers in the 1960s, they have vigorously defended the use of the word “Xerox.” People started calling any photocopy a “Xerox copy,” but this term may be used only for photocopies which were made on a Xerox brand machine and the word “Xerox” must always be capitalized. The National Grange has successfully prevented some businesses from using the word “Grange” but other cases will be more difficult. There is a village in northern New Hampshire named Grange and a town named “LaGrange” in Kentucky. There may be communities named Grange or Granger in other states. Businesses in these communities could very easily claim they are using “Grange” or “Granger” in their name to reflect their location. 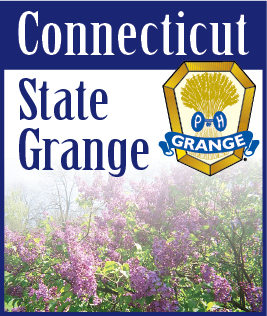 The Hartford telephone directory lists one person whose last name is Grange and seven people whose last name is Granger. It would be very difficult to stop any of these people from using their own last name in the name of their business. Most of the questions I have been asked concern the use of the word “Grange” by Subordinate and Pomona Granges. The National Grange is not restricting the use of the word “Grange” by any bona fide Grange unit. In fact, they encourage the use of the word “Grange” so people will know the Grange is active in their area. Tyson Foods is asking to copyright the term “Grange and Grassland.” Even if they are successful, this should not prohibit Granges from using the word “Grange” in any of our advertising or promotional materials. The National Grange has received several questions about State, Pomona and Subordinate Granges issuing press releases and other information to their local media regarding this topic. The National Grange does not want to create any ill will against Tyson Foods. They believe they can stop the use of our registered name “Grange” if they have enough data to show we are using our name throughout the land. They are therefore requesting that no press releases, boycotts or similar actions be taken against Tyson Foods. The bottom line is that nothing has changed concerning the use of the word “Grange” and the National Grange wants to keep it that way.